My name is Zach Martin. I’m a professional artist and illustrator. 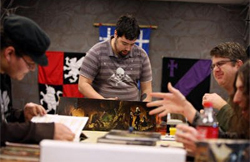 I make my home in Austin, TX with my lovely wife, and I run D&D 4th Ed when time permits.